Secretary of State Rex Tillerson told China's foreign minister Friday that the country should "use all available tools" to confront North Korean provocations, per WSJ. 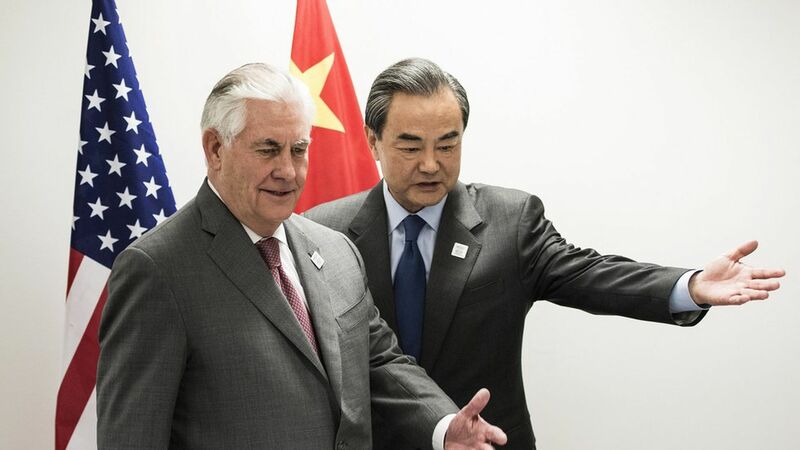 Tillerson and his Chinese counterpart Wang Yi met for an hour Friday morning in Bonn, Germany amid a meeting of foreign ministers from the Group of 20 countries. Tillerson's urging comes a week after North Korea launched a missile test into the Sea of Japan, which Tillerson and his Japanese and South Korean counterparts condemned on Thursday, promising a tougher international response.